Event write-ups and news posts created for the news section of creative members network, YCN. 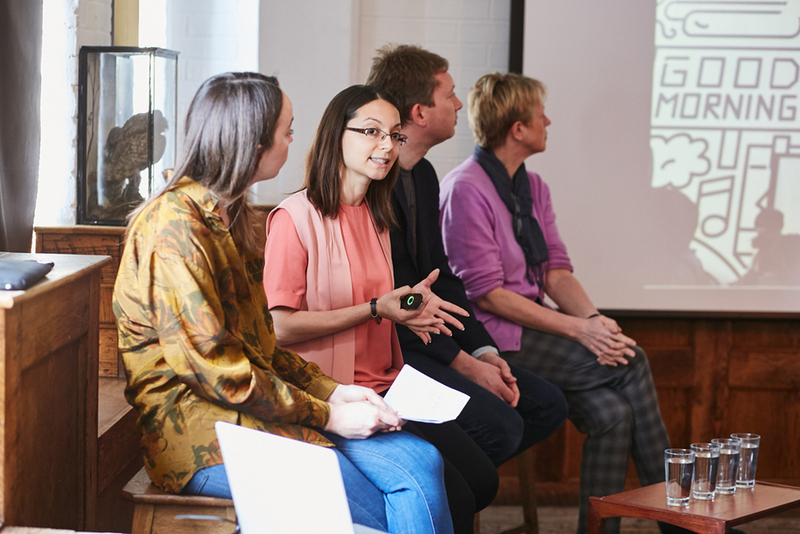 A write-up on YCN's 'The Value of Purpose' event at Shoreditch House's Library, created for the news section of YCN's site. The event addressed the pro's and con's of utilising B-corp within creative businesses. A write-up on YCN's beauty panel as part of their 'Sector Briefing' event series, created for the news section of YCN's site. Panelists included Kat Towers, Head of Culture at design studio LOVE; Karinna Nobbs, chief futurist at Holition, and Rachel Humphrey, PR and Strategic Partnerships Director at Birchbox. A write-up on YCN's 'Views on Voice' panel, aimed to explore various attitudes and advice on using digital voice A.I. technology within the creative industry. Panelists included Francesca Cuda, Head of Engineering at digital product studio ustwo; Heather Andrew, CEO of Neuro-Insight UK, and Duncan Anderson, CEO of Humanise.AI.